Rangjung Neljorma Khadro Namsel Drönme (Khadro-la) was introduced to the Maitripa College in 2012 by Lama Zopa Rinpoche where she met with Yangsi Rinpoche, toured and blessed the offices, classroom, and Jokhang, and gave one of her first teachings in the west to the Maitripa College community. Khadro-la is the State Medium of the Tenma Oracle (The Tenma Goddesses are Twelve Guardian Deities of Tibetan Buddhism). Ven. 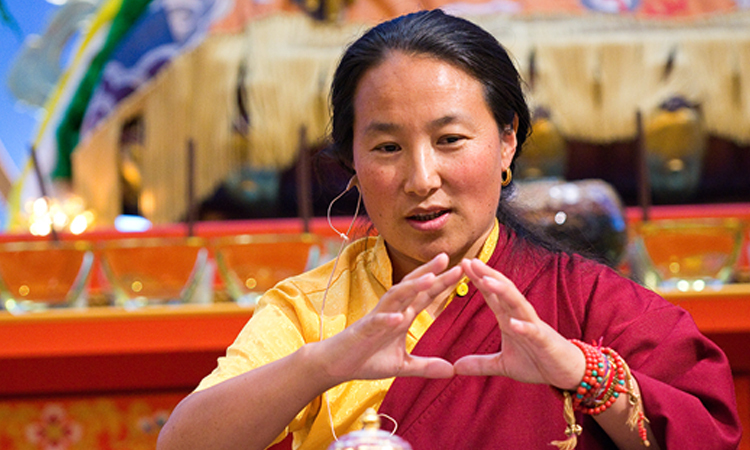 Roger Kunsang’s interview with Khadro la in the 2008 edition of Mandala magazine provides an introduction to her early life (excerpted here). The October – December 2012 edition of Mandala magazine also has an interview with Khadro-la. 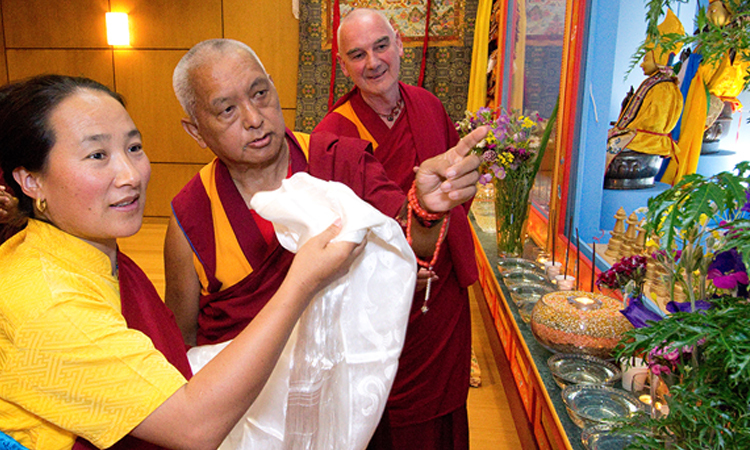 For more, you can also visit Sun of Devotion Stream of Blessings (Lama Yeshe Wisdom Archives, 2016) — a collection of teachings by Lama Zopa Rinpoche that contains fascinating and often moving recollections about Khadro la. 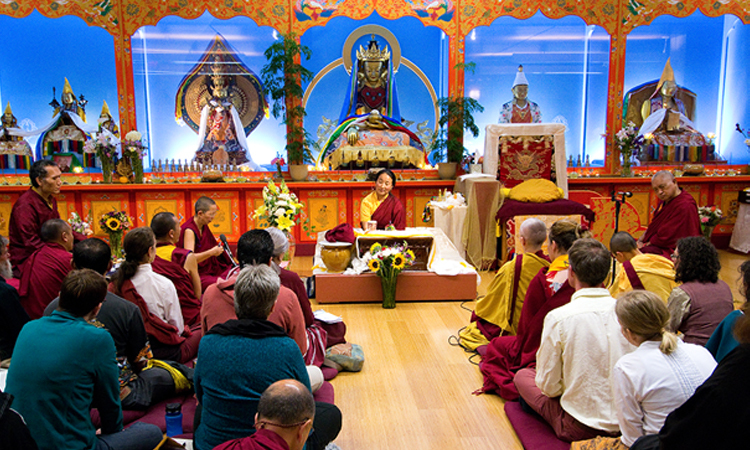 In 2012 Lama Zopa Rinnpoche introduced Khandro-la to the Maitripa College community where she blessed the shrine and bestowed one of her first public teachings in the West.